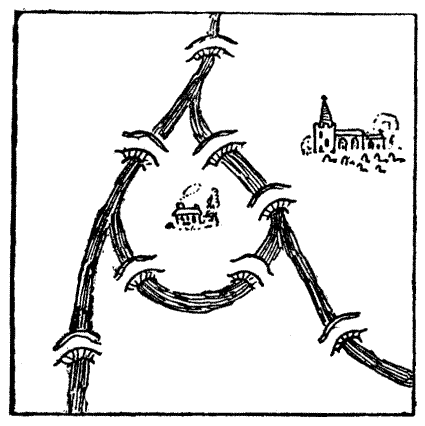 Here are the six islands of Transumberg connected by nine bridges. Can you find a route, starting on any of the islands, that crosses each bridge once? Can you find a route crossing each bridge once (and only once)? Yes, this puzzle is mathematically impossible. Yes, this impossible puzzle is the famous Seven Bridges of Konigsberg problem which is a well known part of the history of mathematics. Proving that it is impossible leads to graph theory and topology. Do you like puzzles that turn out to be impossible? Some people get very frustrated but miss the point that the positive outcome is the proof that there is no solution. Nowadays Konigsberg is called Kaliningrad and the layout of the town does not look as simple as our diagram above shows. Can you find it on Google Earth and see how many bridges are in place now? The first puzzle, the six islands of Transumberg, is most definitely possible! This starter has scored a mean of 3.1 out of 5 based on 217 votes. Transumberg: There are only two possible starting islands, the bottom left or the middle right. Can you make up your own bridge crossing puzzle with a different number of bridges and islands. How can you predict if the puzzle will be impossible? Here is the URL which will take them to a similar type of puzzle. "Here, my worthy Pilgrims, is a strange riddle," quoth the Parson. "Behold how at the branching of the river is an island. Upon this island doth stand my own poor parsonage, and ye may all see the whereabouts of the village church. Mark ye, also, that there be eight bridges and no more over the river in my parish. On my way to church it is my wont to visit sundry of my flock, and in the doing thereof I do pass over every one of the eight bridges once and no more. Can any of ye find the path, after this manner, from the house to the church, without going out of the parish? Nay, nay, my friends, I do never cross the river in any boat, neither by swimming nor wading, nor do I go underground like unto the mole, nor fly in the air as doth the eagle; but only pass over by the[Pg 49] bridges." There is a way in which the Parson might have made this curious journey. Can the reader discover it? At first it seems impossible, but the conditions offer a loophole.